Clay mixed with water can stay fluid at very loww water contents, as shown in this image. 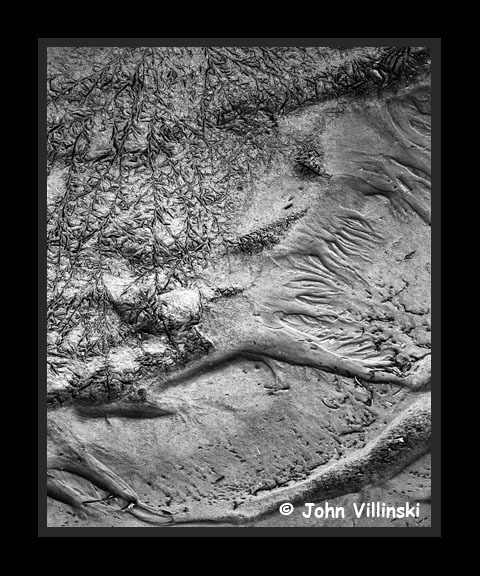 The deposition of the clay as the mixture moves is evident in the lower right portion of the image. THe uper left corner shows the cracking of the clay layer as it dries, form a dendritic pattern similar to the branches of a tree.